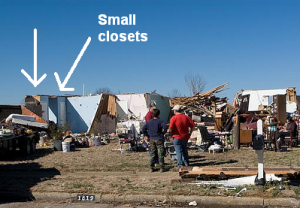 In forensic meteorology, we are often asked whether a given weather event was “foreseeable” – in other words, whether those impacted by or involved in the event should have or could have seen it coming. Foreseeability generally has three components when considering weather events – climatology (what is “normal”), forecast (what is expected) and communication (whether those making decisions have access to crucial information). In many ways, climatological expectation is about timeline. Over a long enough timeline, even extreme weather events can be expected to occur. That may sound counterintuitive, so let’s take a familiar example. If you flip a coin 20 times, what are the odds that you’ll get a run of 15 tails in a row? It doesn’t take a statistician to tell you those odds are pretty low. But what if you flip the coin 200 times? 200 thousand times? As the number of total coin flips grows so too do the odds of seeing a run of 15 tails in a row, for no other reason than that there are more opportunities for it to occur. While a run of 15 tails would be extremely unusual within a trial of only 20 flips, it would normal and expected within a trial of 200 thousand flips. In other words, if you flip a coin 200 thousand times, you should expect to see a run of 15 tails somewhere within that trial. An event that is unusual within a short trial is actually expected within a longer one. The same is true of extreme weather events. Take the “100-year flood”. 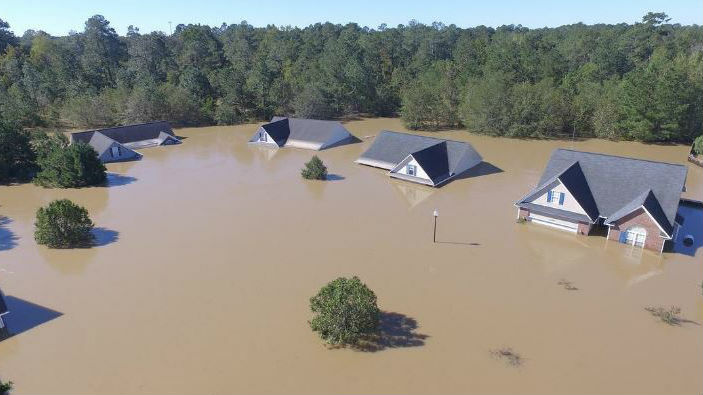 What a meteorologist or hydrologist means when they say a “100-year flood” is an event that has a 1-in-100 chance of occurring in any given year. Over a long period of time, we would therefore expect to see such a flood occur, on average, about once every hundred years. What “100-year flood” doesn’t mean is that a given location is “due” for such an event if the last one occurred more than 100 years ago or that it is “safe” if the last one occurred less than 100 years ago. Every year, the odds are the same: 1-in-100. The expectation of a given event (from a statistical, climatological perspective) does not change based on past weather. A “100-year flood” is just as likely to occur next year as it was last year. Go back to the coin flip example: If you have a correctly balanced coin, each flip carries 1-in-2 odds of showing tails. Even if you flip 10 tails in a row, the 11th flip carries the exact same odds of coming up tails: 1-in-2. It may feel like you’re “due” for heads after 10 tails in a row, but that’s psychology speaking not statistics. 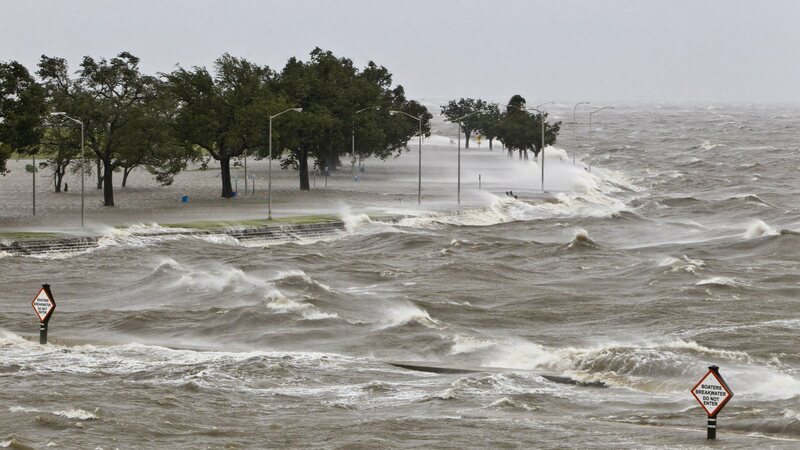 What does change after an extreme weather event is knowledge among the affected population. 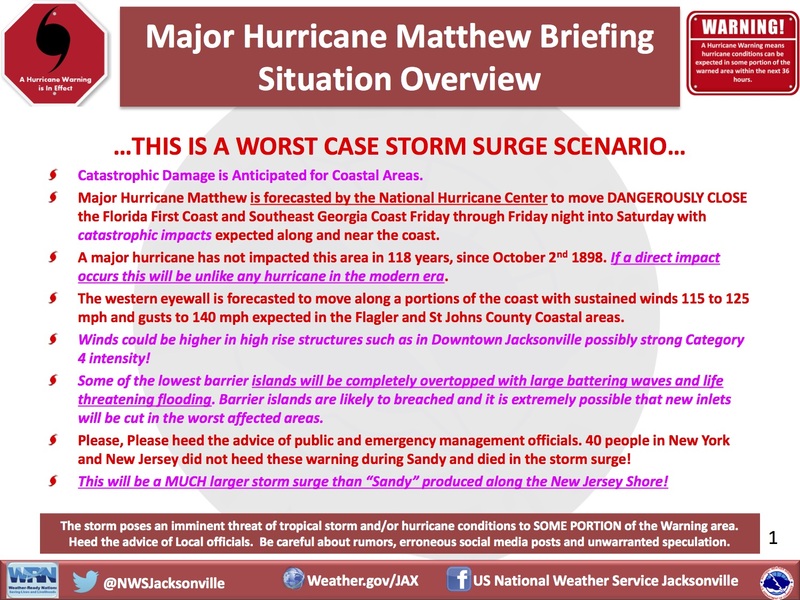 Once an extreme event occurs, people know 1) that it can happen, and 2) what the impacts are. So while the occurrence of one extreme event does not shift the climatological expectation for when a similar event will recur (e.g. suffering through a “100-year flood” this year doesn’t mean you’re safe next year), it can impact the foreseeability of a similar event. After all, people know that it can happen because they’ve already seen it happen. The fact that a given weather event is within climatological expectations doesn’t necessarily make it foreseeable for the affected population. 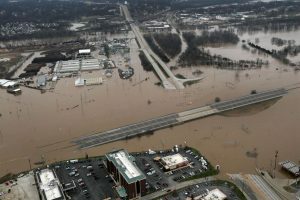 The weather-related impacts that population could reasonably have anticipated depend on a number of factors, including the weather forecast and impacts statements, as well as how that information was disseminated to the public and/or decision makers. That said, sometimes meteorologists get it wrong. Small changes to atmospheric conditions can have major impacts on how a weather event evolves (that proverbial butterfly flapping its wings in Brazil). When there is significant uncertainty in a forecast, meteorologists try to express it. However, scientific uncertainty is a nuanced thing, and often the uncertainty statements are the first thing to get stripped for the headlines. So while meteorologists and decision makers with direct access to them may understand the forecast uncertainty and its implications, the general public may not. 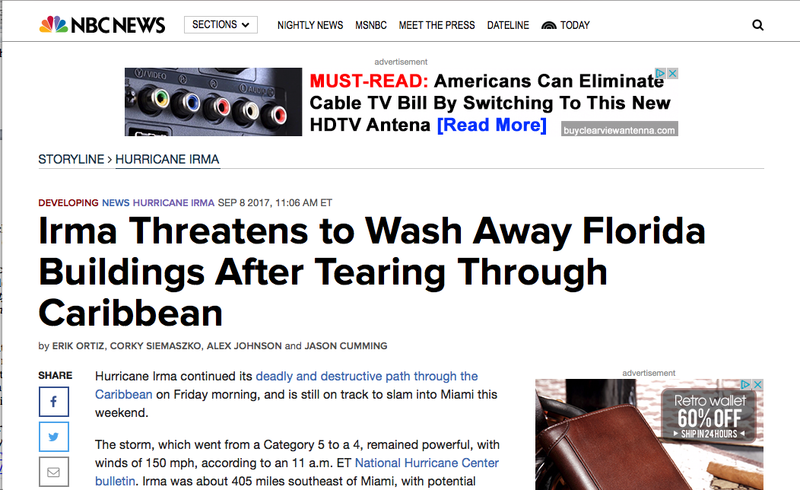 Remember when Hurricane Irma was definitely going to wipe Miami off the map? Neither do I, because at no point during Irma’s evolution was an impact on the southeast FL coast a sure and immanent thing. 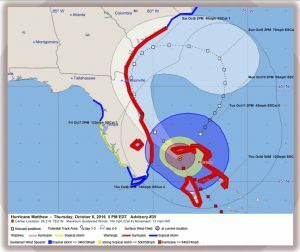 But “Miami About to be Obliterated!” makes a far more clickable headline than “landfall near Miami looking possible, but storm could still swing further west or east”. Which brings us to the final crucial piece in foreseeability: information access. Even if a given weather event is within the climatological norms; even if the forecast is close to perfect, with uncertainty and potential impacts clearly and understandably communicated – even then a weather event can be “unforeseeable”. If the people impacted by the weather event do not have access to or should not be reasonably expected to seek out forecast information, the event may not have been foreseeable. For example, every few years, hikers are injured or killed in the desert southwest when flash floods turn dusty arroyos into raging rivers. 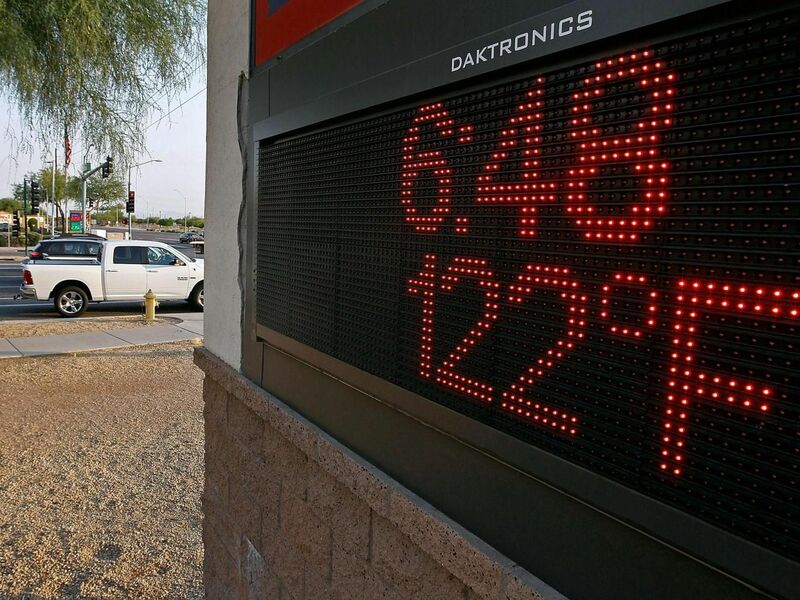 Are afternoon thunderstorms during monsoon season climatologically normal? Yes. Do forecasters generally recognize and issue warnings when it appears such storms may cause flash flooding? Yes. Are the resulting flash floods foreseeable to the hikers 10 miles away from the storm and 30 miles from the nearest town? Maybe not. That last question is arguably more difficult and is where forensic meteorology largely bows out of the discussion. A flash flood in the desert – foreseeable? A forensic meteorologist can tell you whether a given event was climatologically unusual, whether the forecasts leading up to the event were accurate, and how that forecast information was disseminated. But whether those who were impacted should have ultimately “seen it coming” is a more complex issue. 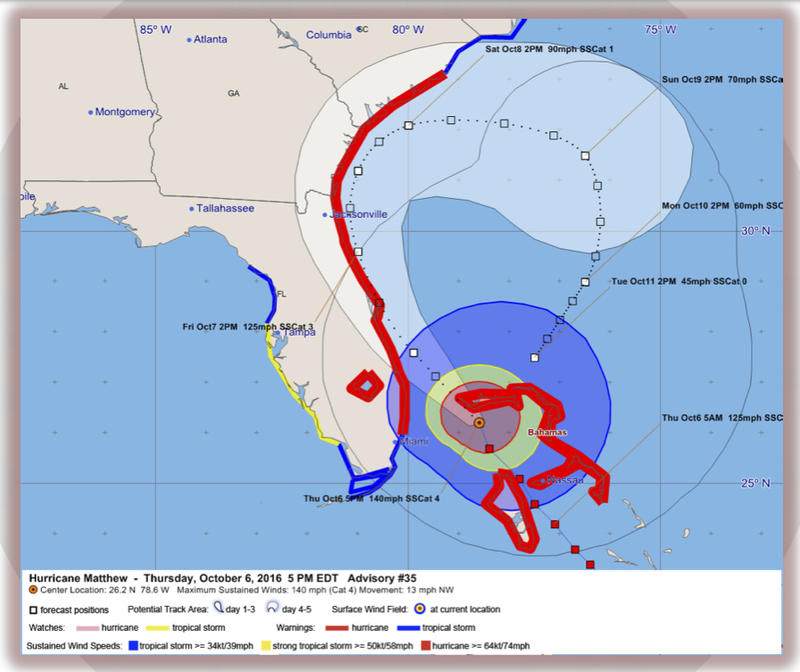 What if different forecasts disagreed? 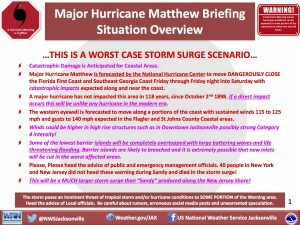 If a truly extreme event was forecasted, is it reasonable for people to think the forecast was exaggerated? What is reasonable ignorance or incredulity in this age of information-overload and often hyperbole? If someone has access to forecast information, should they be expected to actively seek it out? Should they be expected to act on it? These are often the types of questions that arise in weather-related investigations and disputes. What starts out as a series of relatively straightforward meteorological questions ultimately winds into a complex web of human psychology and societal and cultural expectations. The meteorological science is a crucial component of such investigations, but developing a rigorous and comprehensive understanding of the situation requires cross-disciplinary collaboration and communication. The weather is where the questions start, but not necessarily where they end. If you are involved in a weather-related investigation and would like to discuss how a forensic meteorologist could support that work, please reach out to Blue Skies Meteorological Services for a free, no-obligation consultation. El Niño On Its Way for End of 2014? After several relatively quiet years in the equatorial Pacific Ocean, El Niño may be on its way back. A new research study published in the Proceedings of the National Academy of Sciences (PNAS, February 2014) utilized a novel, long-range statistical approach to El Niño forecasting and found a 75% likelihood that El Niño conditions will begin to present by the end of 2014. 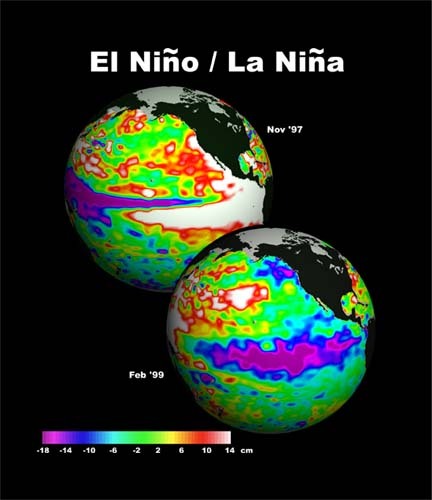 El Niño is the warm phase of a larger ocean-atmosphere cycle called the El Niño Southern Oscillation (ENSO). During an El Niño event, the waters of the eastern equatorial Pacific off the coast of Central and South America become anomalously warm. During the opposite phase of the cycle, La Niña, those same waters become anomalously cold (see figure at right, credit: NASA). This fluctuation in water temperature may seem like a relatively localized phenomenon, but because the ocean and atmosphere are coupled (interconnected) and circulate the entire globe, an increase in water temperatures off the coast of Peru is not only devastating to the local fishing industry, but is also the most important driver of natural interannual climate variability across the entire planet. Globally, El Niño conditions result in a major shift in atmospheric circulations and, consequently, weather patterns (see figure below right, credit: NOAA), as well as an increase in globally averaged temperatures. Conventional El Niño forecasting techniques rely on dynamical and statistical climate models that analyze observations of sea surface temperatures (SSTs) and wind patterns. Although this forecast method can be quite accurate when making predictions a few months out, its skill is rather limited at longer-range forecasting. Accurate long-range forecasting is critical, however, to preparing for and mitigating the economic effects of El Niño events. For example, in the agricultural sector, farmers need to be able to plan which crops to plant based on expected weather conditions (e.g. hotter than normal, wetter than normal, drier than normal, etc) to reduce the likelihood of crop failure. The study published by Ludescher, et al. this month claims to have developed a forecasting technique that can accurately predict ENSO fluctuations up to a year in advance by relying solely on statistical correlations between air temperatures across the Pacific region and upcoming changes to equatorial Pacific SSTs (i.e. upcoming El Niño or La Niña events). Although the study’s authors tout its long-range predictive ability, it cannot currently predict the magnitude (severity) of those upcoming events. 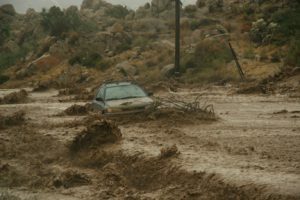 The study’s authors say that their technique accurately predicted the absence of El Niño during 2012 and 2013, but because the forecasting methodology is so new, it has yet to be tested in a prediction of non-neutral ENSO conditions. Many atmospheric scientists not involved with the study remain skeptical of the skill of the new technique for that reason as well as for the fact that the study does not propose an explanation as to why the statistical correlation should work. In other words, the study does not advance scientists’ understanding of the physical mechanisms that drive the ENSO cycle. If the new statistical forecasting technique proves successful, though, it may alleviate a problem that has been plaguing conventional ENSO forecasters for the last couple of years and that may now be negatively affecting the skill of seasonal climate (e.g. ENSO) forecasts. The National Oceanic and Atmospheric Administration (NOAA) maintains a network of moored buoys in the tropical Pacific Ocean to monitor real-time ocean temperatures for input into the climate models used to forecast El Niño and La Niña. Since budget cuts in 2012 forced NOAA to reduce its maintenance schedule of the buoys, however, over half of them have failed. With less detail about ocean temperatures in this critical location being provided by the thinning buoy network, forecast models may suffer a loss of accuracy. Only time will tell. The dynamical and statistical climate models used to provide conventional ENSO forecasts are also beginning to predict an increased likelihood of El Niño conditions beginning in late 2014. It’s still too early for significant confidence, but those readers who are involved in weather-sensitive industries should monitor the situation closely and consider planning early for possible El Niño conditions beginning in late fall 2014.